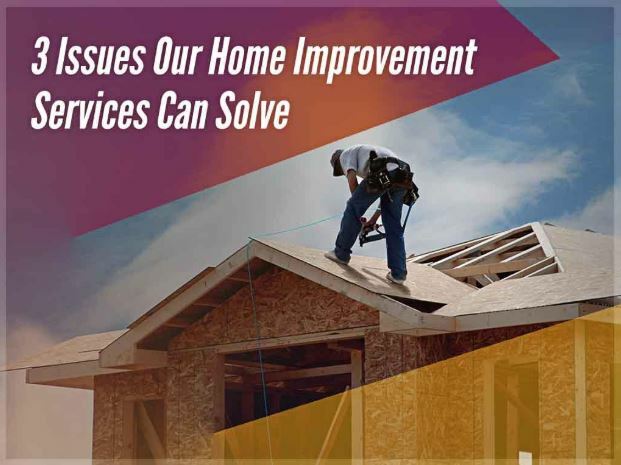 As a trusted roofing contractor, YES Contracting helps homeowners solve a variety of issues to help improve their home’s comfort, curb appeal, and weather resistance. For example, we can fix roof leaks to prevent water damage and improve your roof’s life span, replace your siding to improve your home’s appearance, and install new gutters to protect your home from the rain. Roof Leaks – Even a small roof leak can cause major water damage if a homeowner leaves it unattended. Fortunately, our maintenance plans will prevent this from happening. We can perform regular inspections and minor roof repairs that will find and fix any cracks or gaps in your roofing system. We can counteract the effects of wear and tear, improve your roof’s life span, and minimize the risk of roof leaks. Water Damage – We’re not just an experienced roofing construction company. We can also install new gutters. Using the best possible gutters for your home is important because the gutter system protects your home from various forms of water damage. Without a good gutter system, rain can damage your siding, landscaping, roof, foundation, and more. Call us if you want to know if your home needs a new gutter system installed. Poor Curb Appeal – We can also boost your home’s curb appeal by installing new and beautiful siding for your home. Brand new siding can revitalize your home’s appearance and make it stand out from the rest of your neighborhood. All you need to do is to choose the right color scheme for your home’s architectural style. Fortunately, during our initial consultation, we can help you select the best looking siding colors for your home. YES Contracting is the leading choice for general contracting services in our area because our decades of experience lead to superior quality workmanship. We also know which products to recommend for our area’s weather and for the architecture of our local homes and businesses. We serve many areas, including Johnson City, TN, and the surrounding communities. Call us at (423) 702-4000 to learn more about the problems we can fix.